Luohu Station(Chinese: 罗湖站) is an underground terminus of the Luobao Line of the Shenzhen Metro in Shenzhen, Guangdong Province, China. It is located beneath the junction of Luohu Port and Shenzhen Railway Station East Plaza in Shenzhen's Luohu District. It is the second-busiest station in the network in terms of system entries and exits, with approximately 56,400 passengers a day. Luohu Station offers access to Shenzhen Railway Station's Guangshen Railway, and to the Hong Kong MTR at Lo Wu Station.Two tracks run through the station, with platforms on either side; passengers board from the central island platform and alight on the side platforms. Operation Hour: 6:30 a.m. to 12:00 a.m.
Futian Checkpoint Station (Chinese: 福田口岸站) is a terminus of Shenzhen Metro Longhua Line. It is located at the ground level of Futian Port Control Point (Chinese: 福田口岸管制站) in Futian District,Shenzhen, China, and it is the only ground station in Shenzhen Metro. Futian Port Control Point and Futian Checkpoint Station are connected to Hong Kong's Lok Ma Chau Station by a footbridge. There are a total of four levels in Futian Checkpoint Station. The 2nd and 3rd levels (above ground) are immigration facilities (being the arrivals hall and departures hall respectively), while the 1st level is the station concourse. The station has two exits. In addition, the station is located in the Futian Port Control Point building, and passengers may proceed to MTR Lok Ma Chau Station in Hong Kong after undergoing immigration procedures. Operation Hour: 6:30 a.m. to 10:30 p.m.
Lok Ma Chau Control Point (Chinese: 落馬洲管制站) is an immigration control point in Lok Ma Chau, Yuen Long, New Territories, Hong Kong, which is on the border between Hong Kong and mainland China. It has been the only 24-hour clearance control point in Hong Kong since January 2003. Its counterpart is the Huanggang Port in mainland China. Before reaching this point, vehicles must pass through police checkpoints along road to Lok Ma Chau CP. Permits must be carried in order to pass these points and to travel to the Control Points. Shenzhen Bay Control Point(Chinese: 深圳灣管制站) is a Hong Kong immigration control point on its border with mainland China. It is housed in the same building with its mainland Chinese counterpart, the Shenzhen Bay Port. 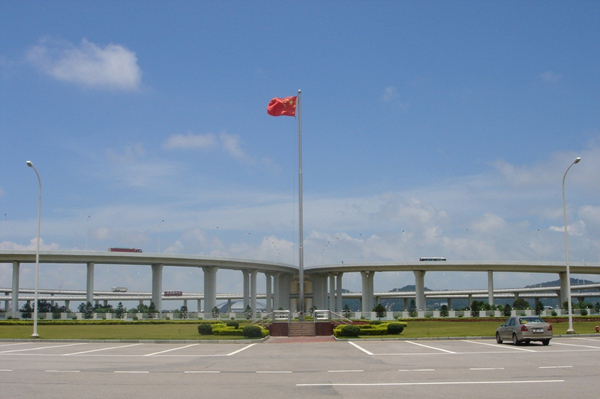 Located geographically in Dongjiaotou, Shekouon the southwestern corner of the city of Shenzhen in the Guangdong Provinceof mainland China, the Shenzhen Bay Control Point is the only border control point where co-location clearance is practised. It is connected to Ngau Hom Shek, Yuen Long District, New Territories, Hong Kong through the Hong Kong-Shenzhen Western Corridor. 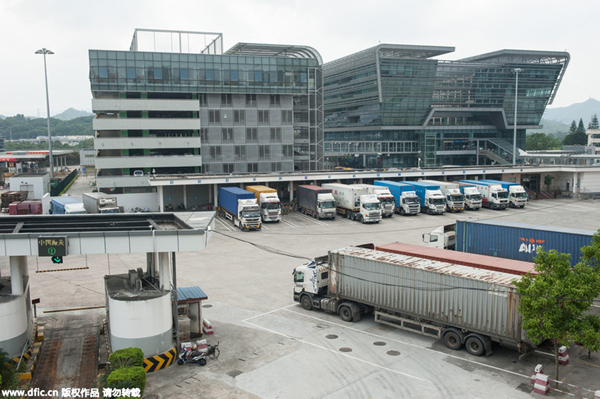 The co-location of immigration and customs facilities with the mainland counterpart, the Shenzhen Bay Port, allows passengers and vehicles for departure and arrival clearance to take place within a short distance. Operation Hour: 6:30 a.m. to 12:00 a.m. While the border closes at midnight, the bridge from Hong Kong to the border stops accepting cars at 11:30 p.m.
Operation Hour: 7:20 a.m. to 10:10 p.m.
Man Kam To Control Point (Chinese: 文錦渡管制站) is a land immigration control point in Man Kam To, North District, New Territories, Hong Kong, within the Closed Area on the border with China. It is the first Hong Kong vehicular clearance point. Operation Hour: 7:00 a.m. to 10:00 p.m.
Fuyong Ferry Terminal (Chinese: 福永碼頭) (IATA: FYG) is a ferry terminal on the shore of the Pearl River, located in the Fuyong Subdistrict of the city of Shenzhen, next to Shenzhen Bao'an International Airport. It includes a passenger terminal for high-speed ferries connecting Shenzhen, a major city in the south of Southern China's Guangdong province, with Zhuhai and Hong Kong. Operation Hour: 7:30 a.m. to 9:00 p.m.
Sha Tau Kok Control Point (Chinese: 沙頭角管制站) is a land immigration control point of Hong Kong, located in Sha Tau Kok, North District, New Territories, Hong Kong, along the border between mainland China and Hong Kong. The control point is mainly used by vehicles (cars and lorries). It acts as a border gateway from or to places in eastern Guangdong Province, such as Huizhou and Chaoshan. But it is one of the least frequently used immigration control point in Hong Kong. Its counterpart across the border is the Shatoujiao Port. The airport also has direct ferry routes to Hong Kong International Airport, where passengers can transit without going through immigration and custom checks, akin to transit between two flights. 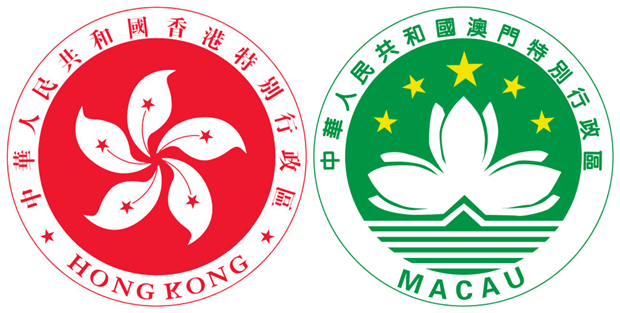 Fast ferries are available to Outer Harbour Ferry Terminal and Taipa Ferry Terminal in Macau plus to the Skypier Ferry Terminal at Hong Kong International Airport via the nearby Fuyong Pier. Free shuttle buses connect the Pier and the Airport. Direct services to Hong Kong Island and Kowloon were suspended because the Terminals A & B's long distance from the ferry terminal made it unpopular for commuters. However with the opening of Terminal C, direct services may be resumed because it is much closer. Operation Hour: Synchronizing with the flights. 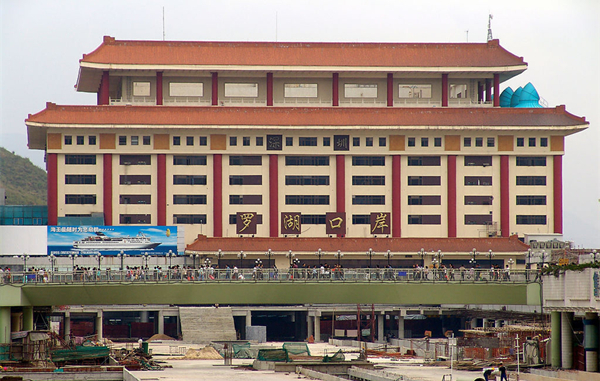 The Gongbei Port (simplified Chinese: 拱北口岸) is an immigration and customs checkpoint located in Zhuhai in mainland China, on its border with Macau. It is operated by the Bureau of Exit and Entry Administration of the Ministry of Public Security, and the General Administration of Customs. 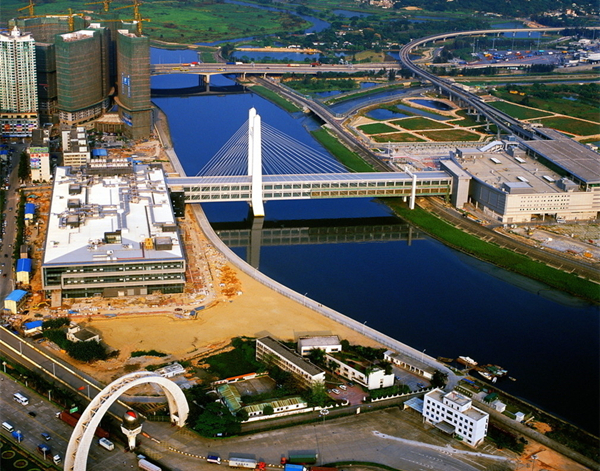 It is located in the Gongbei Subdistrict (jiedao) in the southeastern part of Zhuhai, and is one of two ports of entry on land between mainland China and Macau (the other being the Lotus Bridge, connecting Hengqin, Zhuhai in mainland China with Cotai, Macau). Immigration and customs for travellers exiting mainland China are to the east, while immigration and customs for those entering mainland China are to the west. There is a large underground shopping mall under the plaza north of the port-of-entry building. 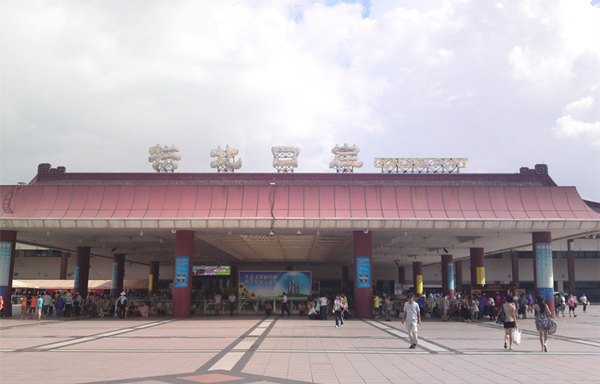 Gongbei Bus Station, a coach station, with transport to Guangzhou and other cities in Guangdong and elsewhere in China, is located within walking distance from the border crossing. 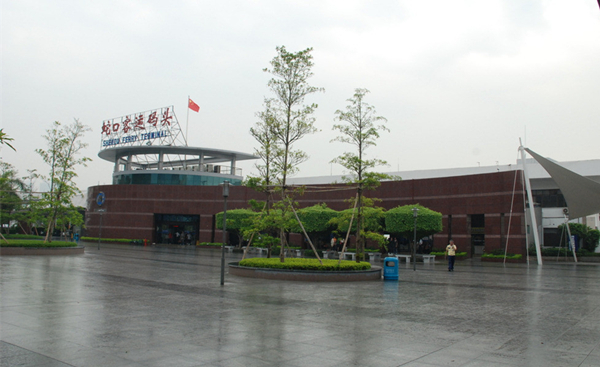 Zhuhai Railway Station, with high-speed rail service to Guangzhou South Railway Station, is located beside the border crossing. An extension of Zhuhai Tram Line 1 is planned to link Gongbei to the station and onward to central Zhuhai. Operation Hour: 6:00 a.m. to 1:00 a.m.
Lotus Bridge (simplified Chinese: 莲花大桥) is a cross-border bridge linking the Cotai reclamation area of Macau with Hengqin Island in Zhuhai, Guangdong Province, People's Republic of China (PRC). 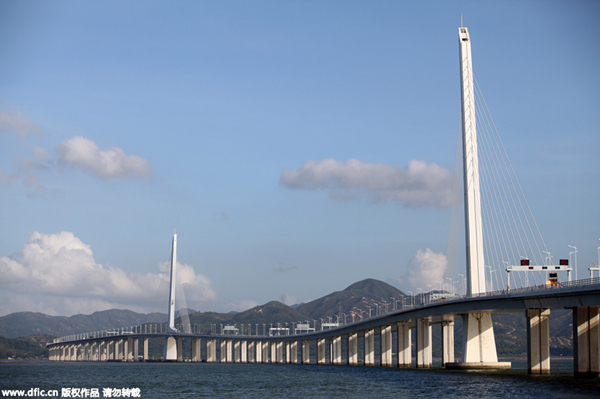 The bridge is the second road crossing between mainland China and Macau, the other being the Posto Fronteiriço das Portas do Cerco at the northernmost point of the Macau Peninsula. The Lotus Bridge is located about eight km (five mi) west of the Macau International Airport.